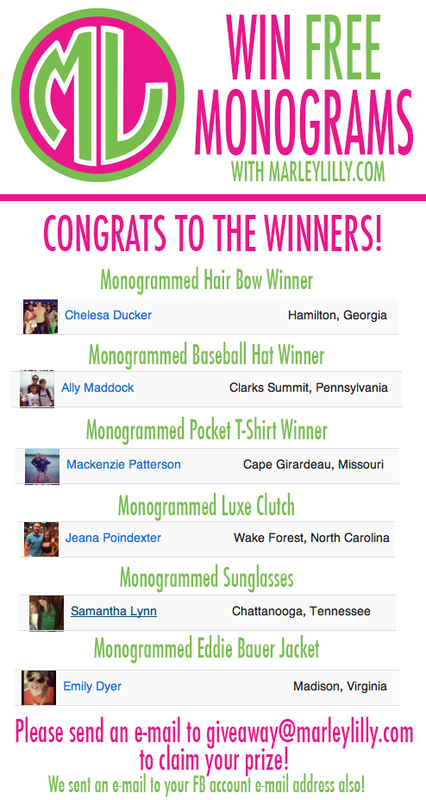 Thanks to everyone who entered the FREE Monogrammed Giveaway on our website! Congratulations to all of the winners! Thanks for sharing Marley Lilly with your followers, family and friends! As always, thanks to all who entered! Peace, Love & Monograms!